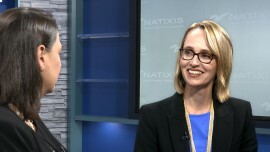 Natixis Investment Managers announces the creation of Thematics Asset Management, a new investment company1 based in Paris, that joins the firm’s global lineup of investment affiliates and will provide investors with access to a wide range of high conviction and active global thematic strategies, including, Safety, Water, Artificial Intelligence & Robotics, starting in Q2, 20192. Thematics Asset Management will be led by Karen Kharmandarian, Chairman & CIO, and Mohammed Amor, Managing Partner and Head of Development. The investment team will also include Arnaud Bisschop, Frédéric Dupraz and Nolan Hoffmeyer, who joined Natixis Investment Managers in November 2018, and Simon Gottelier who joins as a senior portfolio manager on the Water strategy. This group comprises the management team. Thematics Asset Management will specialize in global thematic investing, with a high-conviction, long-term approach and an emphasis on integrating Environmental, Social and Governance (‘ESG’) considerations throughout the investment decision-making process. Prior to joining Natixis Investment Managers and over the past 11 years, the team has developed and launched a range of thematic funds and were together involved in the management of more than $21 billion of assets. The investment managers have a strong expertise in bottom-up stock picking, identifying the companies exposed to long-term secular growth themes that should deliver risk-adjusted returns superior to those of broader global equity markets. The team’s robust investment process will rely on broad investable universes and the building of portfolios based solely on the merits of the individual stocks. The result is a range of portfolios that reflect high levels of conviction and are global, unconstrained, benchmark-agnostic and socially responsible. “The long-term structural changes underway across all sectors of the global economy pose unique challenges for our clients as for us. 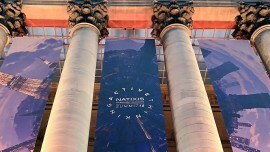 The launch of Thematics Asset Management, as part of our multi-affiliate asset management model exemplifies Natixis’ response to such challenges, providing investible exposure that turns a long-term trend from a challenge into an opportunity,” said François Riahi, Chairman of Natixis Investment Managers’ board and CEO of Natixis. One of the world's largest asset managers with €808b in AUM3 and powered by the expertise of 24 specialized investment managers, Natixis Investment Managers offers access to highly active, high conviction managers, each of whom concentrates on the investment styles and disciplines in which they have proven expertise, the ultimate objective is to help investors to build stronger and more diversified portfolios over the long term. “The addition of Thematics Asset Management to our lineup of affiliated managers makes a substantial contribution to our global equity range and provides our investors around the world with access to distinctive thematic strategies. The team’s strong expertise, proven track record and highly-active investment approach fit perfectly within our multi-affiliate model,” commented Jean Raby, CEO of Natixis Investment Managers. “Thematics Asset Management’s partners share an entrepreneurial spirit combined with an active management approach. Our edge lies in our focus in identifying, developing and managing multi-decade investment themes fueled by four global primary forces that are transforming our world: demographic changes, globalization, innovation and scarcity. 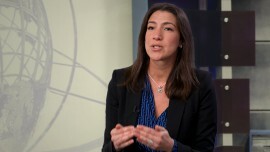 We are long-term by design in our investment style and in our close alignment with our clients’ interest,” explained Karen Kharmandarian, Chairman & CIO, Thematics Asset Management. “Natixis Investment Managers’ multi-affiliate model offers tremendous growth opportunities, and we are pleased to become an affiliate of one of the world’s leading asset managers. It allows us to access a truly global distribution network and to benefit from the support of a large financial services group while retaining our autonomy and focusing on what we do best: capturing investment opportunities and delivering sustainable returns for our investors,” said Mohammed Amor, Managing Partner and Head of Development, Thematics Asset Management. The team recently launched a range of thematic strategies - Safety, Water, AI& Robotics, Meta strategy - under the Luxembourg-domiciled Natixis International Funds (Lux) I SICAV and new strategies will launch over the course of the year. 1 Subject to regulatory approval. 2 Four Thematics funds were recently launched within Ostrum Asset Management under the Natixis International Funds umbrella. The Thematics team currently is part of Ostrum Asset Management, a limited company with a share capital of 27 772 359 euros – Trade register n°525 192 753. 43, avenue Pierre Mendès-France - CS 41432 - 75648 Paris cedex 13 France. 3 As of 31 December 2018. Natixis Investment Managers serves financial professionals with more insightful ways to construct portfolios. Powered by the expertise of 24 specialized investment managers globally, we apply Active ThinkingSM to deliver proactive solutions that help clients pursue better outcomes in all markets. Natixis ranks among the world’s largest asset management firms* with €808bn** Headquartered in Paris and Boston, Natixis Investment Managers is a subsidiary of Natixis. Listed on the Paris Stock Exchange, Natixis is a subsidiary of BPCE, the second-largest banking group in France. For additional information, please visit the company’s website at im.natixis.com | LinkedIn: linkedin.com/company/natixis-investment-managers. Natixis Investment Managers includes all of the investment management and distribution entities affiliated with Natixis Distribution, L.P. and Natixis Investment Managers S.A. Natixis Distribution, L.P. is a limited purpose broker-dealer and the distributor of various registered investment companies for which advisory services are provided by affiliates of Natixis Investment Managers. Provided by Natixis Investment Managers International – a portfolio management company authorized by the Autorité des Marchés Financiers (French Financial Markets Authority - AMF) under no. GP 90-009, and a public limited company (société anonyme) registered in the Paris Trade and Companies Register under no. 329 450 738. Registered office: 43 avenue Pierre Mendès France, 75013 Paris. ** Net asset value as at December 31st 2018, Assets under management (“AUM”), as reported, may include notional assets, assets serviced, gross assets and other types of non-regulatory AUM.